Cielo - A1 Granite & Marble Ltd.
Hailing from Brazil, this quartzite’s palate ranges from white to blue-gray with branching golden veins. The crystals in Cielo Quartzite are visibly elongated, a result of the incredible geologic pressures that accompanied its metamorphosis. 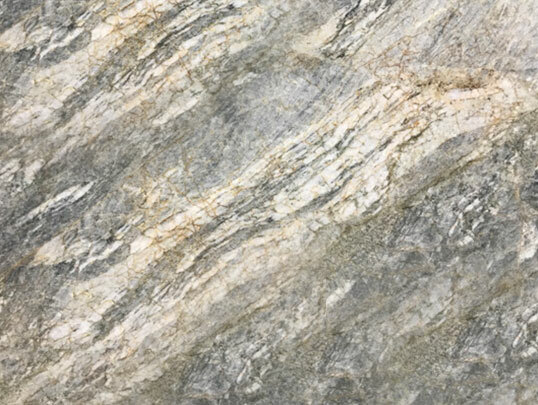 This is a beautiful quartzite with excellent versatility, and may be used in both indoor and outdoor applications. Please visit our showroom or call us for pricing and availability. The stones in the Quartzite are marketed in different finishes, giving each material a highly personal appearance.